It is a pretty simple strategy, in the base of which there is a use of important historical levels and a rapid return motion from them. The strategy got its name from the trader whose nickname is EPM. 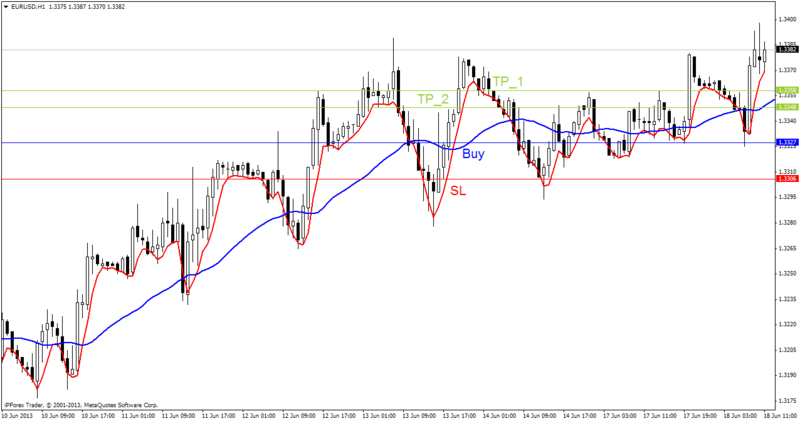 The trade is conveyed on H4. It can be used with multiple currency pairs. The strategy doesn’t include any indicators. The strategy is a mix of classical views about the trade. The position is an uptrend after contacting the support line for the third time. The stop loss is installed to last. The release from the confirmation and the level is in the shape of two or more candles colored in white. The deal can be put to the breakeven after getting 50 points. The EMP strategy can bring around 1000 points in one month, minus 35 points during the second month and plus 700 points during the third one. Of course this statistics depends on the trading rights. Some see a white candle and it means a confirmation of release for them. Others will be waiting for four. Forex strategy "Important News "